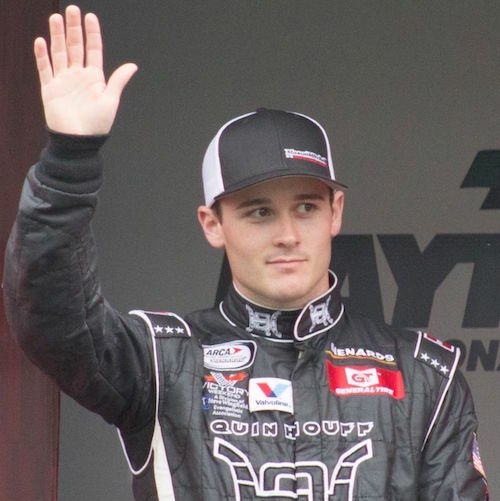 Spire Motorsports announced Tuesday that Quin Houff will drive its No. 77 Chevrolet for about half of the races during the 2019 Monster Energy NASCAR Cup Series season. He’ll make his Cup Series debut in the TicketGuardian 500 at ISM Raceway near Phoenix on March 10. Houff joins Jamie McMurray as drivers the new team has announced for 2019, as McMurray is slated to drive the car in the season-opening Daytona 500 on Feb. 17. The car will carry the No. 40 for the Daytona 500 only. Houff has 10-career starts in the NASCAR Xfinity Series — five last season and five in 2017. His best finish was 12th at Iowa Speedway in Newton on 2017. Other races for which Houff will be in the car and additional driver announcements for other races in 2019 will be announced later. Spire Motorsports is expected to compete full-time in the Cup Series in 2019 after purchasing a charter from the now-defunct Furniture Row Racing.